GameMaker Studio is usually sold for $49.99. 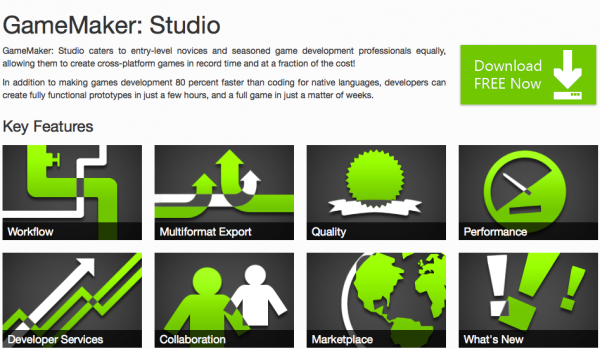 However, thanks to a special sale by YoYo Games, GameMaker: Studio Standard can now be downloaded completely free of charge. The Standard edition supports Mac OS X, Windows PC and Windows 8 exports and provides unlimited resources. The Professional Edition which usually goes for $99.99 is available at a much lower price – for just $35, users can upgrade to the Professional Edition. The Professional Edition features texture management, multiple configurations, team features, mobile testing, YoYo Compiler, Tizen export and access to the Developer Services Portal (DSP). This sale ends on the 2nd of March, 2014.